Why Mother’s Day 2.0 you ask? Well, I gave myself food poisoning after our Hors d’ oeuvre & Cocktail night. I spent about 8 hours of Mother’s Day in agony and had to re-schedule my own mother! Before you’re afraid to try any of my recipes, let me just reassure you that it wasn’t anything that went wrong in the cooking process. After we had our snacks we wandered over to the neighbor’s house to visit and drink some of my favorite wine. I didn’t think we’d be gone long so I just left everything out in the kitchen thinking I would come home and get it into the fridge before too long. Well, a couple of hours later we arrived home, I cleaned up the kitchen and decided I wanted another little spinach tart. They had been sitting in a warm house on top of a warm oven… “I’ll just microwave it for a minute or so and it should be fine”, is what I told myself. Well, it wasn’t, and about 8 hours later I was reminded why you don’t leave anything that even resembles a Quiche out for very long and then eat it. Luckily, when Monday rolled around I was feeling much better. Still a bit wonky but believe me, lesson learned…the hard way. I re-scheduled everyone and we gathered for dinner at our house. 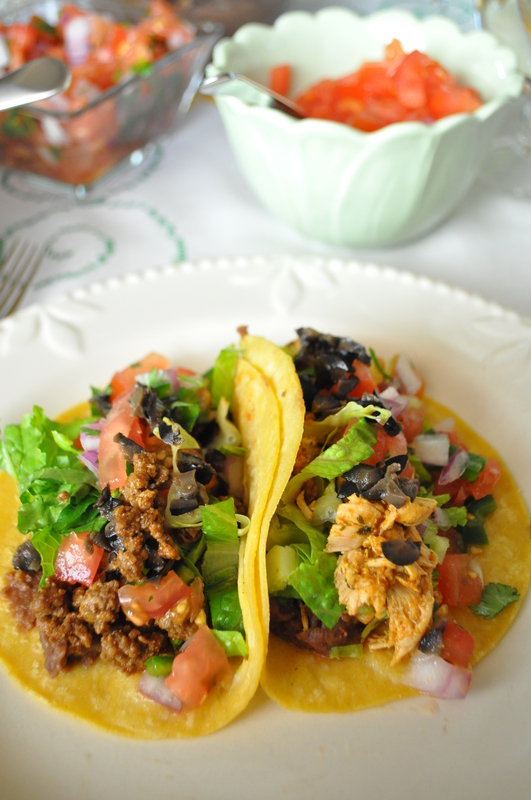 We have a thing for Mexican food in my family. Who doesn’t really? 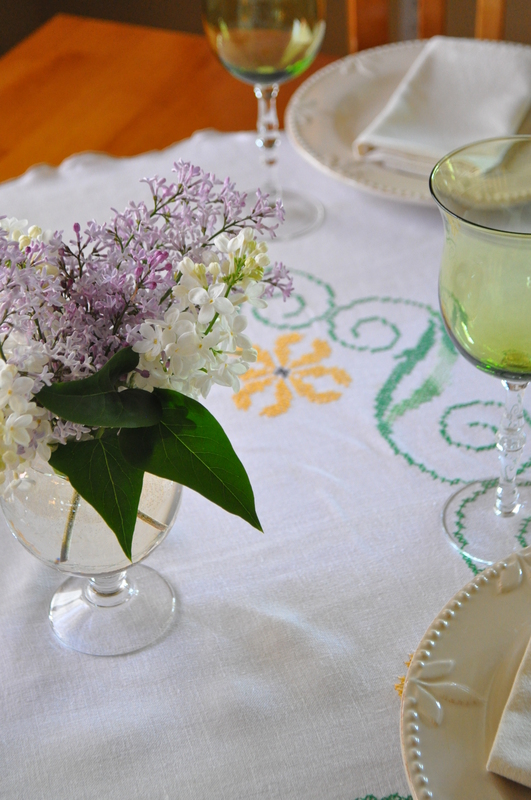 Even though we had a delayed version of Mother’s Day, it still turned out just fine and everyone enjoyed themselves and we walked away from the table stuffed with chicken and beef tacos and two lovely, fruity, tarts. I hope all of you moms had a lovely Mother’s Day…even if it was the 2.0 version like ours. I made the Key Lime Tart and a Lemon Tart. You can find the recipe for the Lemon Tart Here. In a small bowl add both flours, xanthan gum, and salt. Whisk to combine and set aside. In a mixer, add the butter and sugar, beat for 30 seconds and scrape down the bowl. Add the coconut extract and zest, beat until thoroughly combined and mixture is fluffy. Add the flour mixture and beat on medium for 30 seconds, scrape down bowl. Then beat for about 1 minute or until the mixture begins to almost pull all the way away from the sides of the bowl. Press tart crust dough into the tart pan quickly, you don’t want the butter melting too much because it makes the dough too soft. Trim edges on an angle with a very sharp knife, prick with a fork all over including sides. Cover with plastic wrap and refrigerate for two hours. Preheat oven to 325°. Line the tart crust with parchment paper and baking beans and bake in a pre-heated oven for 30 minutes. After 30 minutes remove beans and parchment paper and allow to cool while you get the remaining ingredients ready. You can go here for detailed pictures of the tart shell. Zest and juice the Key Limes. 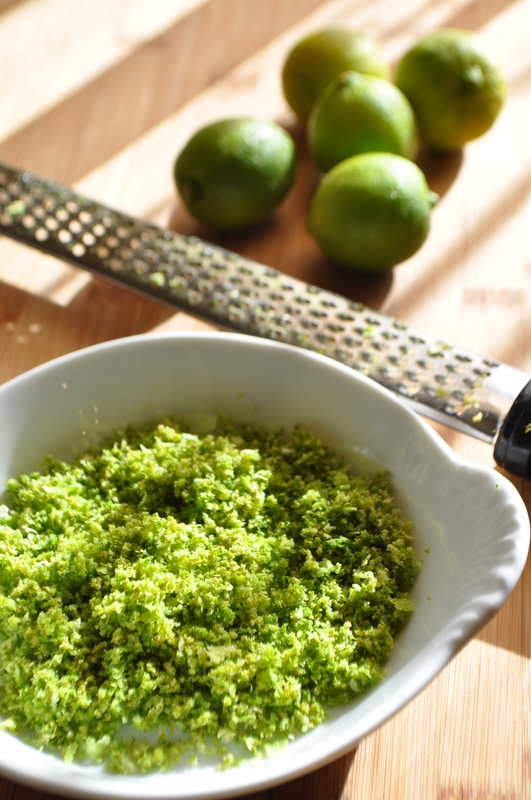 Add the lime zest and lime juice and whisk until thoroughly incorporated. 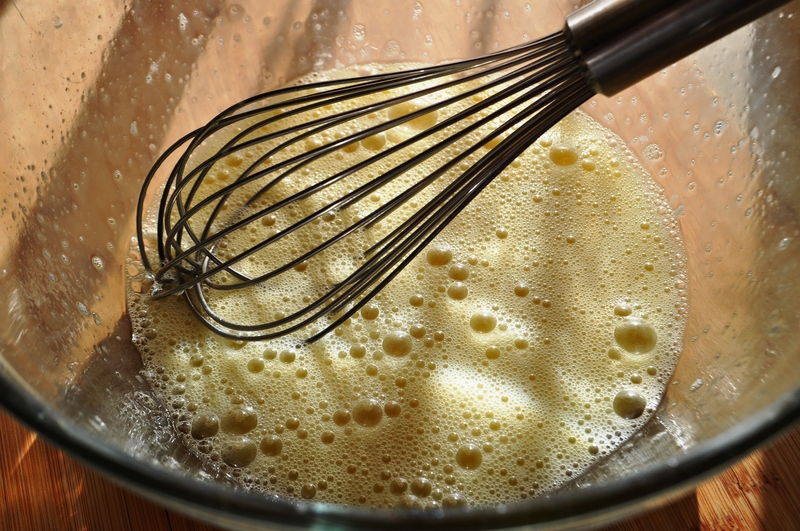 Slowly, drizzle the warm milk and butter mixture into the egg mixture whisking quickly the entire time. 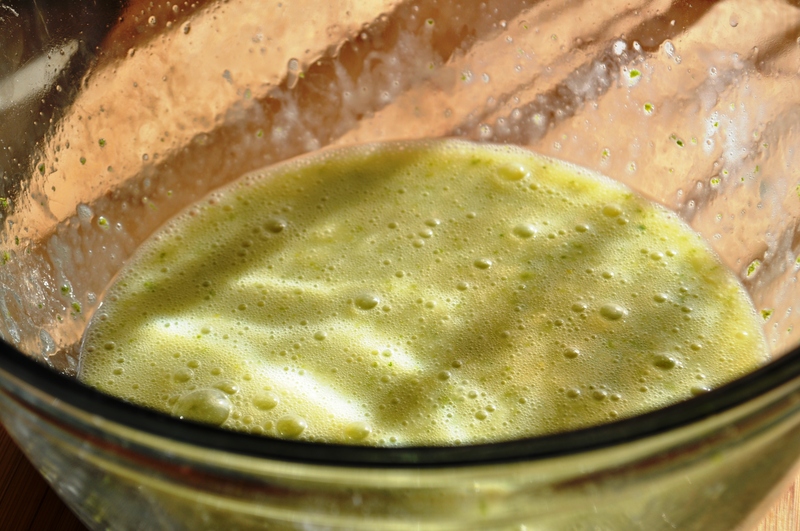 Pour the liquid into a measuring cup and place the tart pan in a preheated oven. Do not pull out the shelf, because when you pour the liquid into the tart and then have to push the shelf back in, it will slosh all over the place and your beautiful tart will be in the bottom of your oven. Unless you have a shelf that automatically comes out when you open the door like I do…then, just close your door very slowly. Pour the liquid slowly into the tart pan. Bake for 20-25 minutes and no more. You want it to have a soft jiggle in the middle about the size of the palm of your hand when you remove it from the oven, similar to jello, but not too much movement. 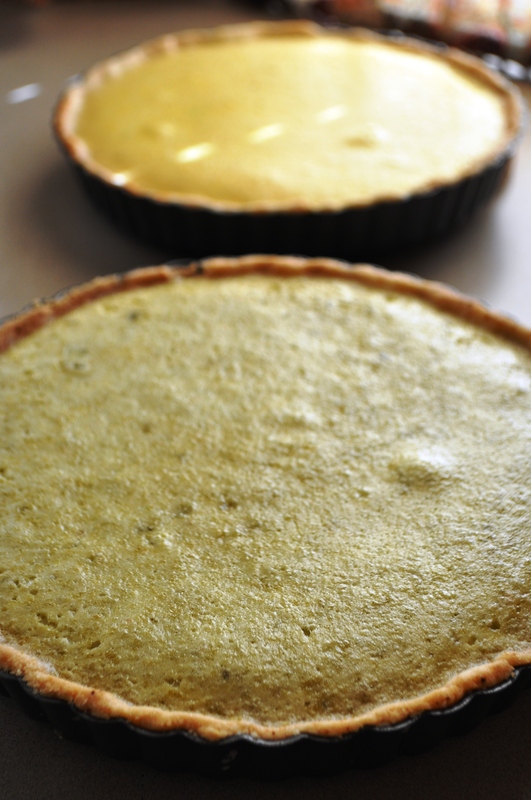 You’ll know if you’ve overcooked it because it will crack and start to pull away from the sides of the tart shell. Allow to cool on the counter and then dust with powdered sugar if you want to eat it at room temperature, or allow it to cool on the counter and then refrigerate it for a couple of hours if you want to eat it cold. If you’re serving it cold, wait until you remove it from the fridge to dust with powdered sugar. I prefer it chilled. 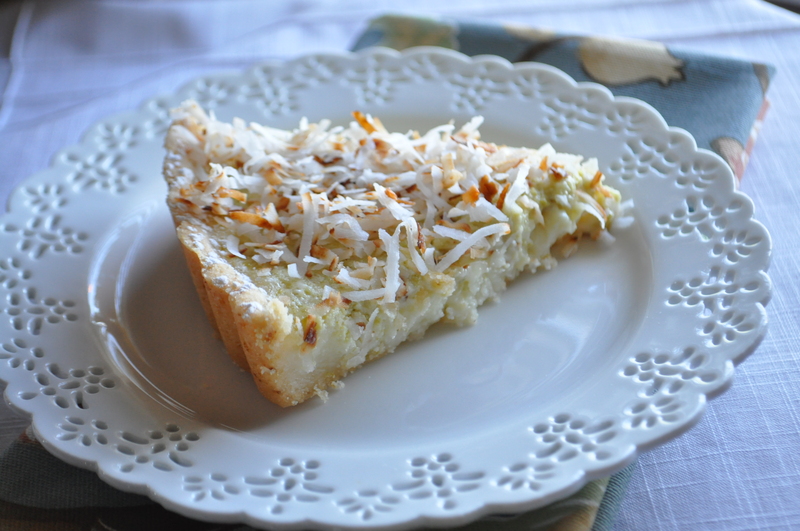 To toast the coconut: Place a couple of handfuls of coconut in a medium skillet and heat on medium to medium high. Flipping the coconut every couple of minutes (like an omelette) as it browns. I like mine lightly browned so there are chunky bits and soft chewy bits. Remove from pan and allow to cool on a plate. 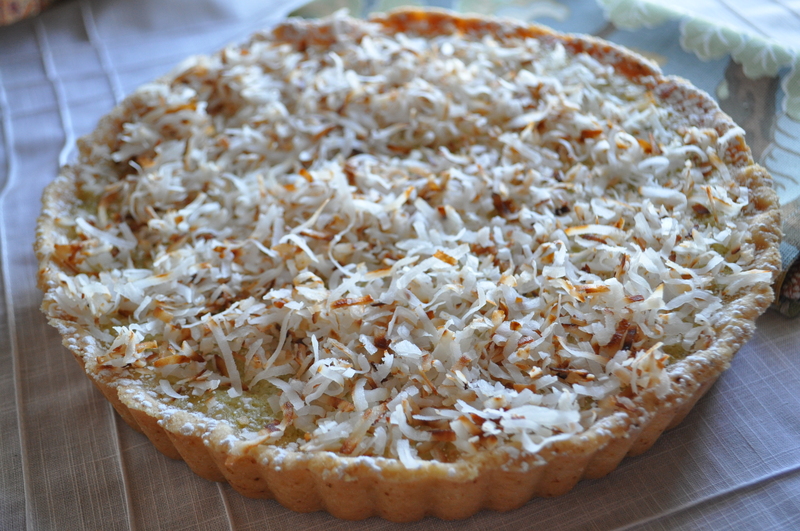 Once the tart has chilled for at least two hours, sprinkle generously with powdered sugar (the key lime tart is…tart) and top with the toasted coconut. Awww, I’m so sorry you were sick – food poisoning is THE WORST. Glad you had a 2.0 version though, the tart looks yummy. Happy Mother’s Day! Food poisoning for Mother’s Day? Yikes! Glad you’re back at full strength and baking up a storm! 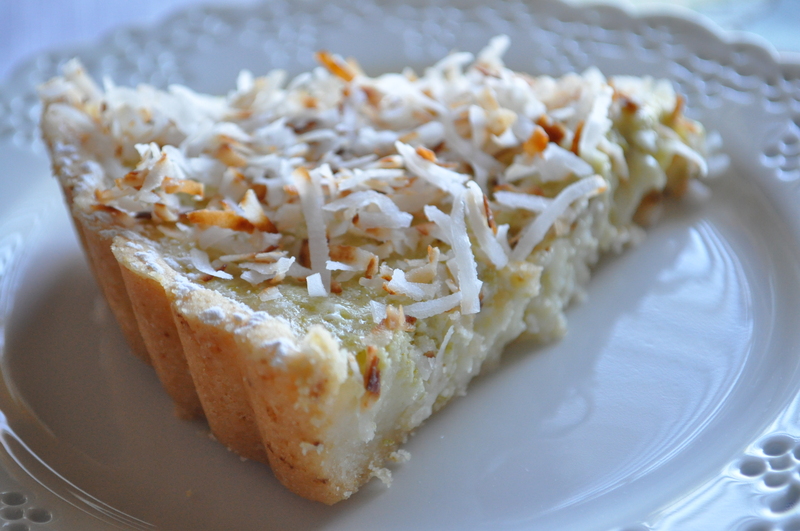 As good as those tacos look, I must admit that lime & coconut tart looks fantastic, April! If it tastes half as good as it looks, it’s a winner. It was very good and very “limey”. I have to say though, I think I still prefer the lemon tart. It’s hard to beat.